Along with my “simplified life,” I am finding that I can pretty easily do some simple sewing. So far, no major works of art have come forth during this construction/renovation work. But I’ve managed two baby quilts and a new pillow cover! 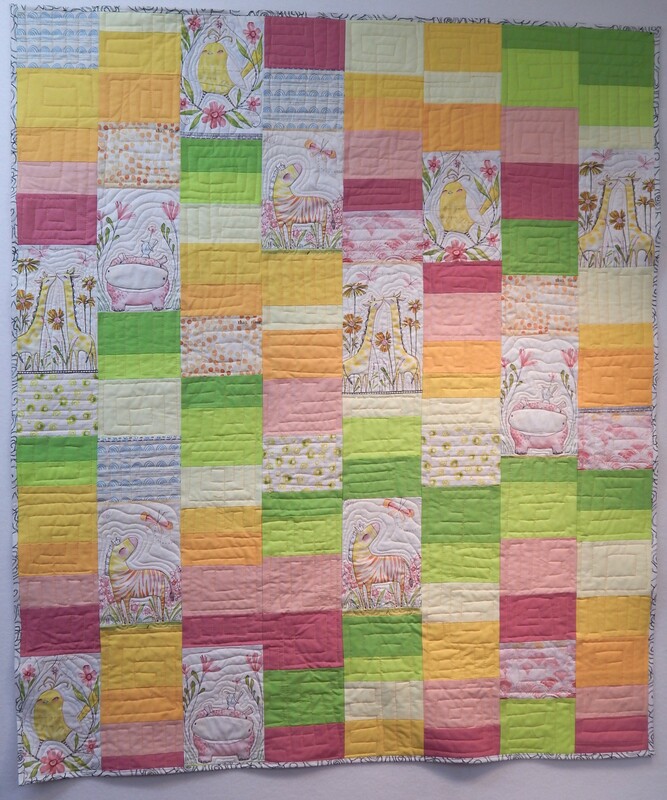 Both of the baby quilts started with a baby/kid print. I just chose some solids that would coordinate and put them together. The pillow cover is for the “European pillow” that I prefer for sleeping. 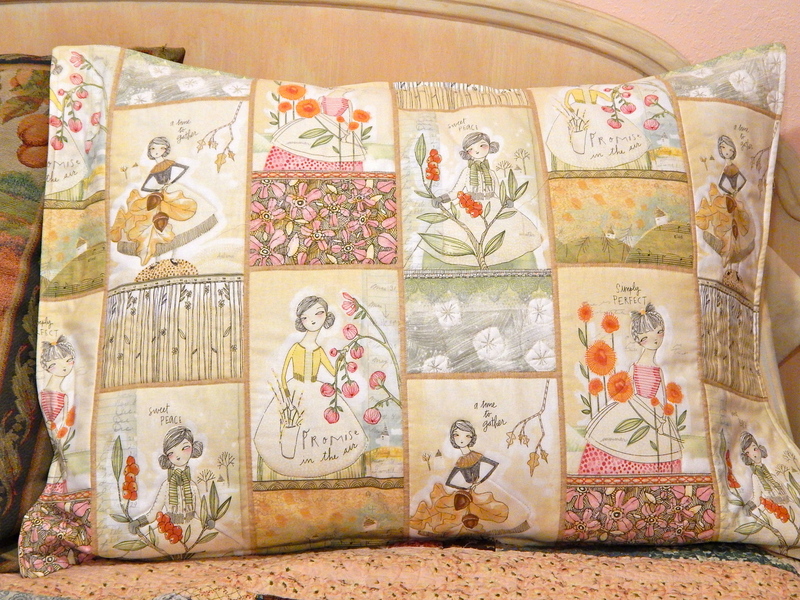 Regular pillowcases don’t fit, so I had made a quilted cover for it a while ago. I was tired of that one, so I used another cute print (one of those darn fabrics I can’t resist buying and then don’t know what to do with them when I get them home.) This one was even more simple. 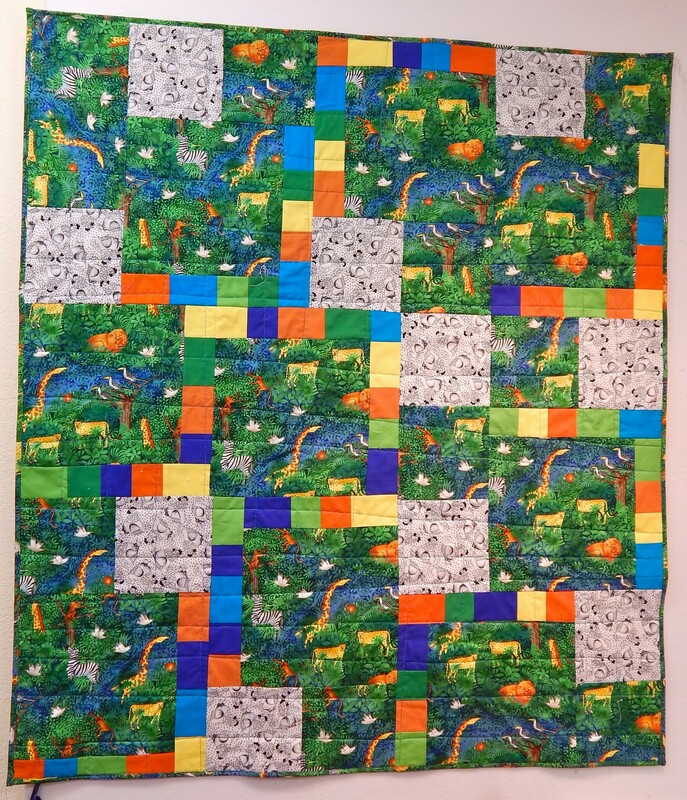 Just kept the print as is and did some very simple quilting on it. Very nice to sleep on, I must say! It feels good to finish some projects, even if they are simple. In the meantime, I do spend every evening doing some hand stitching on my more serious work. I’ll share those when they are finished! Where Have I Been, What Have I Been Doing? Fixing a problem spot in a quilt.